Dan Coughlin covered Haiti for Inter Press Service from the UN and Port-au-Prince between 1992 and 1996. He was formerly the news director and executive director of Pacifica Radio. He is currently executive director of Manhattan Neighborhood Network. 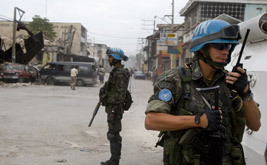 As the renewal date for the UN mission in Haiti nears, WikiLeaks cables reveal a litany of MINUSTAH’s failures. 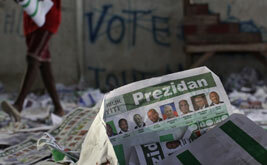 Secret US Embassy cables ripple through Haitian politics, imperiling the appointment of a new prime minister. 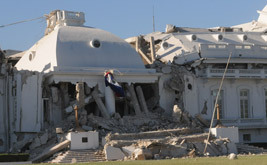 A 2005 cable obtained by WikiLeaks predicted that the Haitian government was "unprepared to handle a natural disaster of any magnitude." Confirming what Haitians already knew, a WikiLeaks document shows how US and international donors pushed ahead with a rigged presidential election. 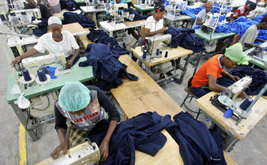 The US Embassy aided Levi’s, Hanes contractors in their fight against an increase in Haiti’s minimum wage. 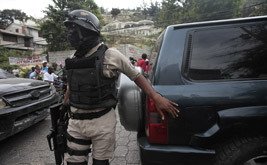 His arrival on the eve of Sunday's controversial elections in Haiti injected new energy into the popular and democratic movement.